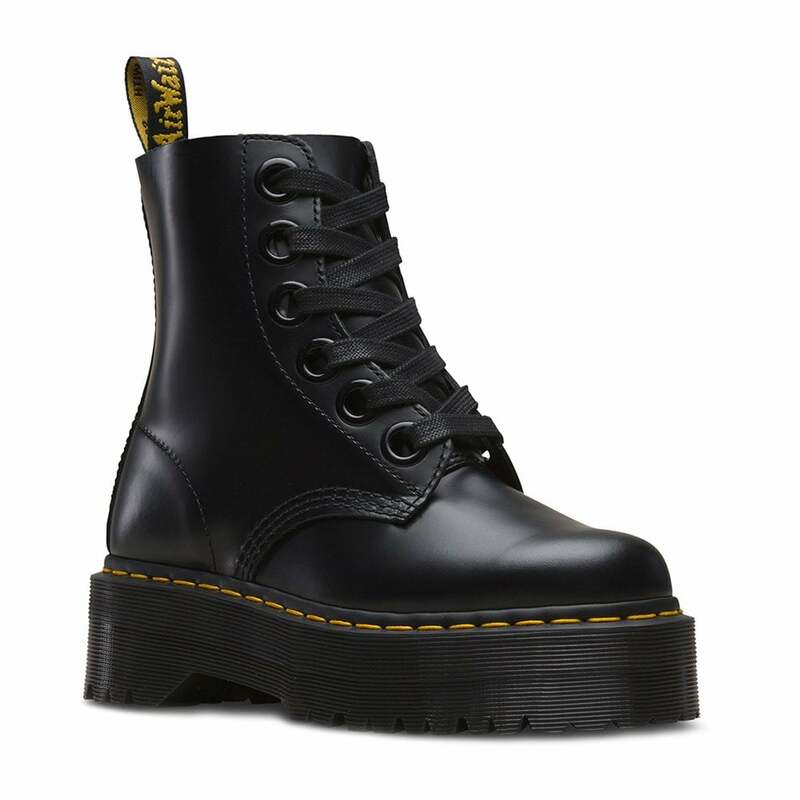 Dr Martens have taken the towering double-height commando sole of the Quad Retro womens boot and powered it up with supple, satin-gloss leather and oversized eyelets with ribbon laces. The Molly boot is made from Buttero leather and is lined with both soft leather and a synthetic textile, along with a full length leather insole. The post welt conceals the stitching that attaches the sole to the upper, along with Dr Martens defining heat sealing process. The Dr Martens Molly comes with two pairs of laces, including a satin ribbon lace. The sole unit itself is Dr Martens air cushioned Air Wear rubber outsole which is oil, fat, acid, petrol and alkali resistant. Thanks to the high fashion yet understated styling on the Molly boots, we think they will go with a huge array of looks and outfits and as such could very easily become your new best friends, so why not order your pair now whilst stocks last?